One of the big questions in anthropology is why humans, unlike most animals, cooperate with those we are not closely related to. Exactly what has driven this behaviour is not well understood. Anthropologists suspect it could be down to the fact that women have usually left their homes after marriage to go and live with their husband's family. This creates links between distant families, which may explain our tendency to cooperate beyond our own households. 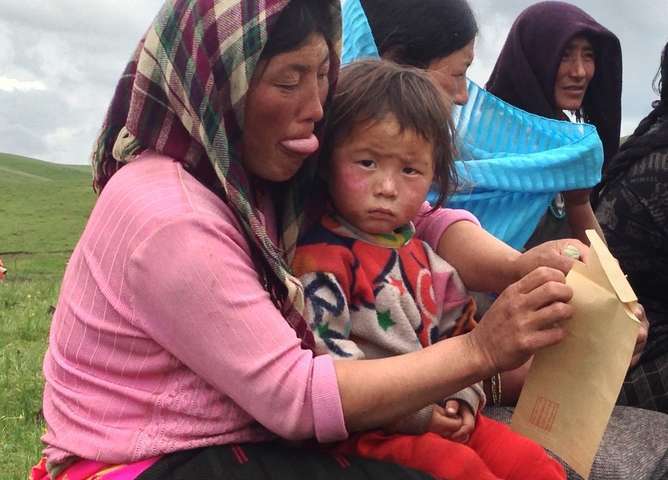 Now our study on the Tibetan borderlands of China, published in Nature Communications, shows that it is indeed the case that cooperation is greater in populations where females disperse for marriage. There are a lot of different theories about the link between dispersal, kinship and cooperation, which is what we wanted to test. Anthropologists believe that dispersal leads to cooperation through links between families, and some evolutionary models predict that when nobody moves this leads to residents competing for the same resources and greater conflict between kin. But there are also models that suggest the opposite is true – that if nobody moves, neighbours are more likely to be related, leading to more cooperation in the neighbourhood. To find out how dispersal really affects cooperation, our research team, a collaboration between UCL and the Chinese Academy of Sciences in Beijing, travelled to south-west China to study the Mosuo population and compare them with other ethnic groups in the area. 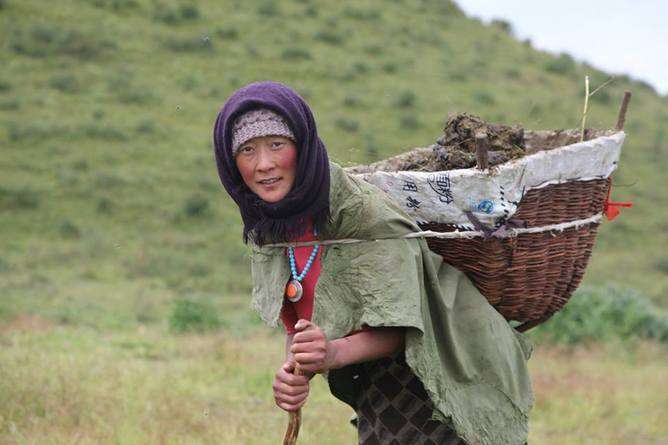 In the Mosuo, and a couple of other similar groups, both men and women can stay in their birth household for life. Men do not live with their partners or children, and follow a tradition of "walking marriage" in which they visit their wives or girlfriends at night but live at the home they were brought up in. Marriage, in the sense of a co-resident couple and their children, is rare. 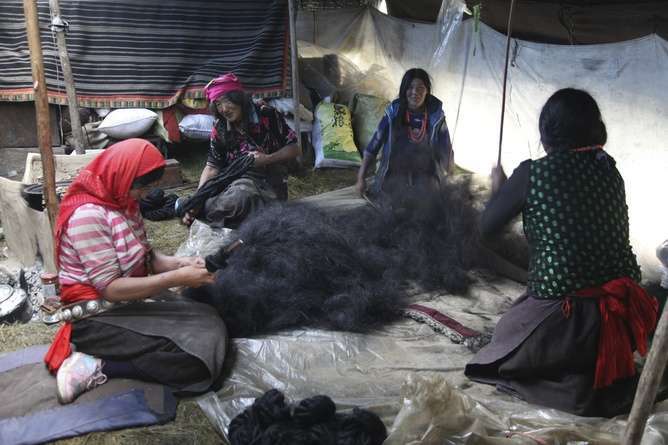 There are other Sino-Tibetan groups where women do leave to live with their husbands. The existence of communities where few people disperse for marriage, in the same general area and language family as groups in which women generally do, allows us to compare them and examine the influence of social organisation on cooperative behaviour. To assess levels of cooperation, we played simple economic games in groups of randomly selected people in 36 villages. These villages comprised ethnic groups that showed either high, intermediate or low levels of female dispersal. By exploiting this natural variation in movement patterns, we showed that populations where no-one disperses were actually the least cooperative villages. This held both in economic games that involved donating money to a common pot, and also a "resource dilemma" that involved taking some tea from a common pot (where the common pot was for the benefit of all the other randomly selected villagers playing in the game). Does marrying out drive cooperation? These results support the anthropological theories that suggest that dispersal for marriage leads to cooperation and the models from evolutionary biology that suggest failure to disperse can result in conflict. They also challenge those models that predict that populations in which people don't move are more cooperative. The extent to which behaviour in economic games reflects real acts of cooperation in daily life is unknown. But, given that manipulating human social organisation is impossible in the real world, this method can be very important in our attempts to understand the evolutionary and ecological basis of human behaviour. Of course there are many additional variables, such as wealth or type of subsistence, that are also likely to influence how cooperative a neighbourhood is. But if we conduct our study in populations that are as similar as possible, we can control for these effects statistically by collecting as much background data as possible on each participant in the games. We found no effect of age, but men were more cooperative than women. Herders and farmers were a bit less cooperative than those with jobs outside farming. But none of these effects accounted for the main finding that low dispersing villages were the least cooperative. We do not know the exact mechanism by which dispersal for marriage is linked to higher levels of cooperation, especially in men. It may be that low dispersal only occurs in societies experiencing harsh environments where opportunities to move out of the village are low. Everyone in these societies would be experiencing competition for resources. Alternatively the marriage links (or potential links) of the extended family may mean it is important to your dispersed kin, or indeed your prospects for future partners, that others in the neighbourhood are treated with generosity. Whatever the exact mechanisms are, more studies of cooperation in the real world will help us to understand the basis of our cooperative nature.